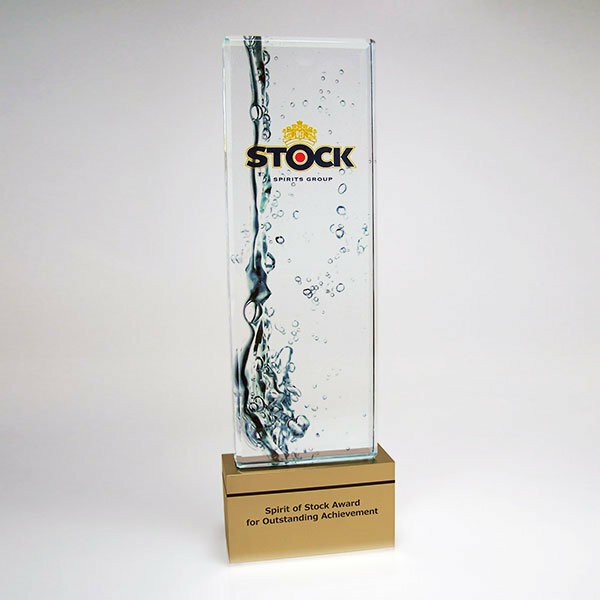 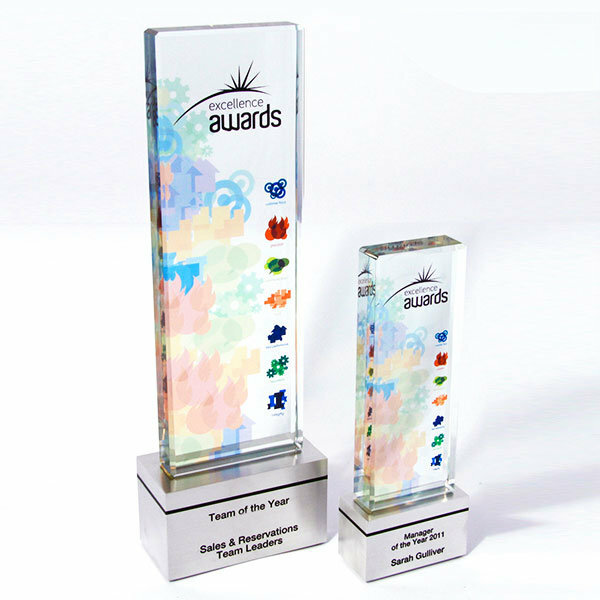 These EFX Ocean Glass trophies are offered in the sizes and shapes shown below. 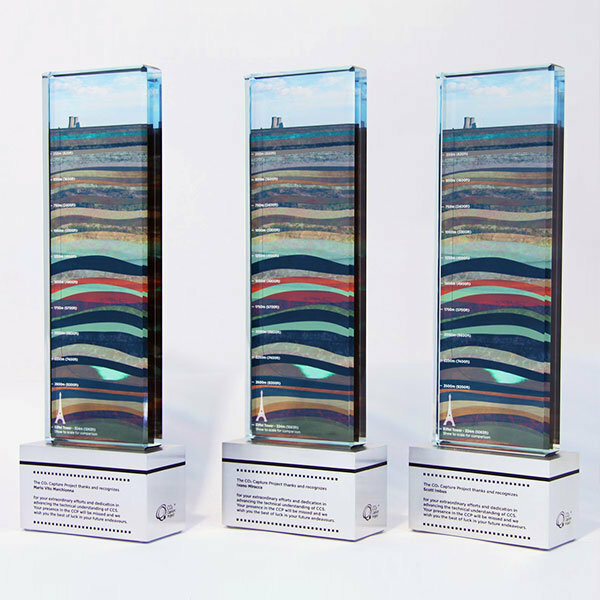 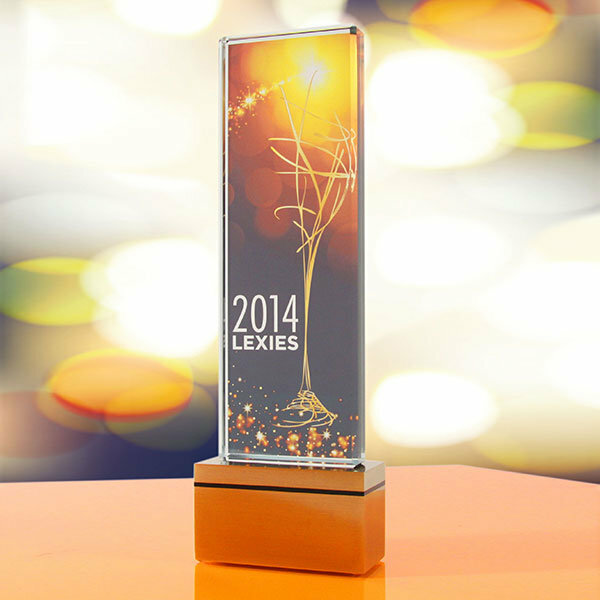 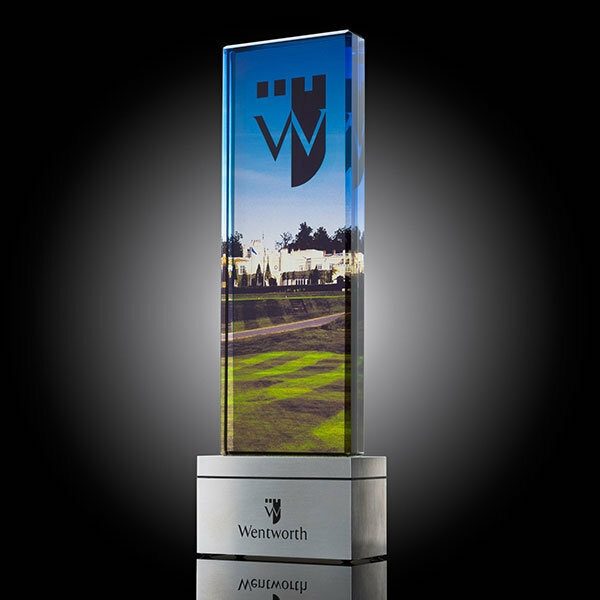 As a leading crystal awards supplier, we offer both bespoke and ready-made layered glass awards. 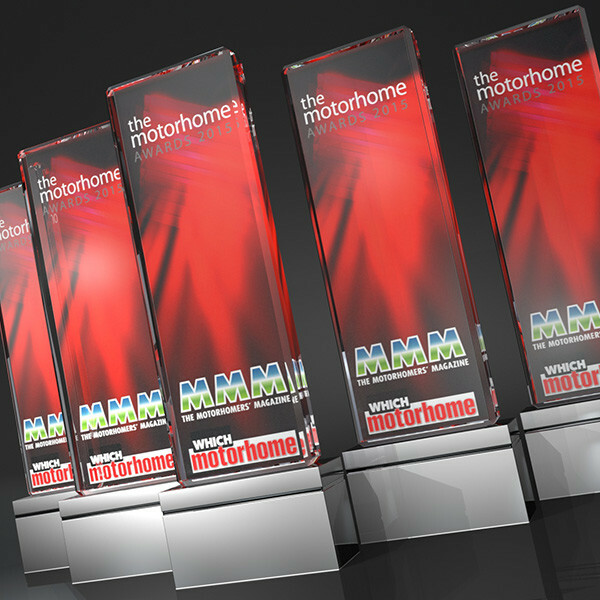 We recognise that budget and delivery time can be crucial and we therefore supply these standard, off-the-shelf options on a fast 3-4 week turnaround and at attractive unit prices. 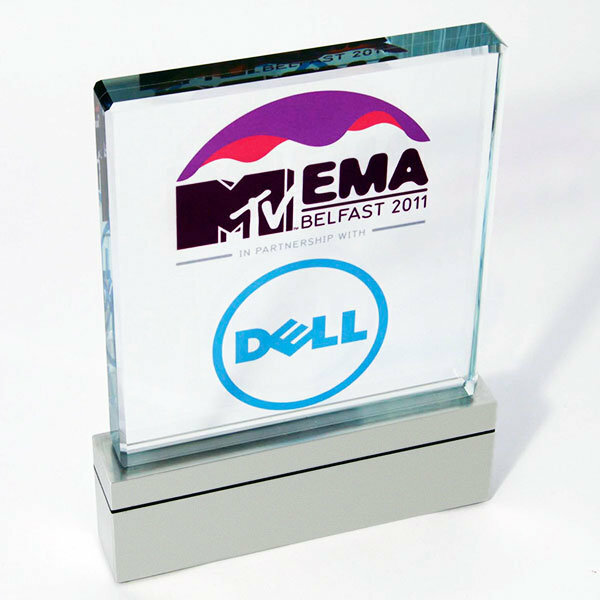 Manufactured from high quality, bonded glass, full colour graphics are suspended within the award. 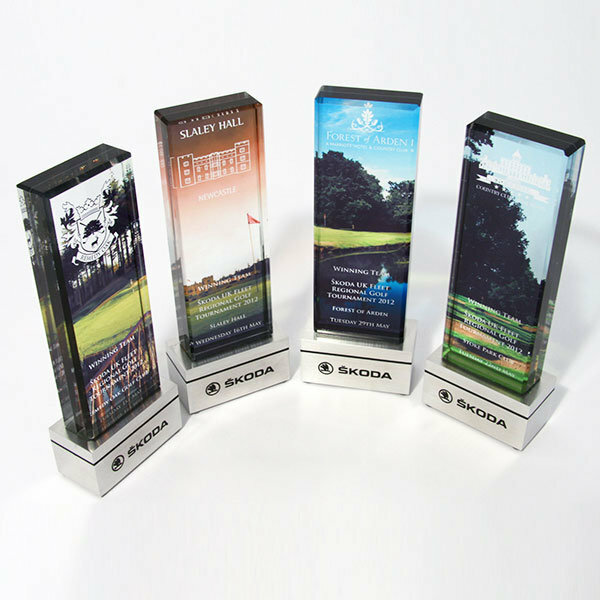 The effect is both intriguing and appealing, and sure to be a talking point at your awards event.